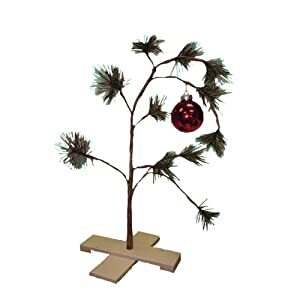 Do you think Charlie Brown would object that his own little tree has been commercialized? $20 for a replica—and plastic no less—tree. I’m sure he would be appalled. You can buy yours on Amazon. The day after Christmas the sweater that cost $40 is now on sale for $25. It cost you $12 in wrapping paper to wrap all your presents – I will wrap mine in 90% off paper for 1/10th the cost. If I start the tradition of celebrating Christmas by going to church and enjoying a day with family, then the (future) kids wouldn’t be any the wiser that Santa was coming on a different day. There are other benefits too. That Wii-Fit that was sold out 4 months before Christmas – I have a chance to buy the one you returned because you got two. Perhaps stockings should still be done on Christmas day just so there is some other excitement, but I’m all for the delayed, larger (read more) Christmas. Recently I’ve been seeing a lot more commercials for Playskool toys. I can only attribute this to the fact that this must be the time of year, 2 months before Christmas, that Playskool spends all of their TV media advertising budget. Get the kids riled up for a new toy now, and in a month you’ll be so tired of hearing them beg you for it, that you end up getting them the toy before Thanksgiving. Now, you end up buying more Playskool toys to put under the tree. I think it’s a great advertising scheme.